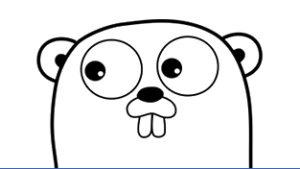 My Authentic Golang “Go” Story. I love code, but I approached Google’s open source programming language, Go, as a skeptic – a battle weary skeptic. Having reached the 10-year milestone as a software engineer, I’ve seen fads come and go. I’ve also been satisfied enough with my native language, C++, to not search for alternatives. However, after watching the mounting tide of Go adoption sweep up some of my most respected colleagues, I finally had to wade in and see for myself. I love Go! Here’s why. I like Go for what it has, but I LOVE Go for what it doesn’t have. Of course, it has everything you need – multi-paradigm programming idioms, type safety, data hiding, automated testing – here’s proof! Go gives you the power to freely flex both your OO design chops and your functional programming prowess as you see fit. And yet it eradicates mind-numbing code review controversies at the root, by removing choice where we never really needed it. a Go auto-updater process with intelligent failure handling, targeting a headless IoT setting where prompting the user is impossible. a Go RESTful web server for electronic medical data, built using lightweight Go packages including Negroni and Gorilla Mux. We are looking forward to using Go in just the right project soon! Want to Learn More About 219 Design? Contact us! Want to learn more about Go? Check out my SCaLE 15x Golang Presentation.